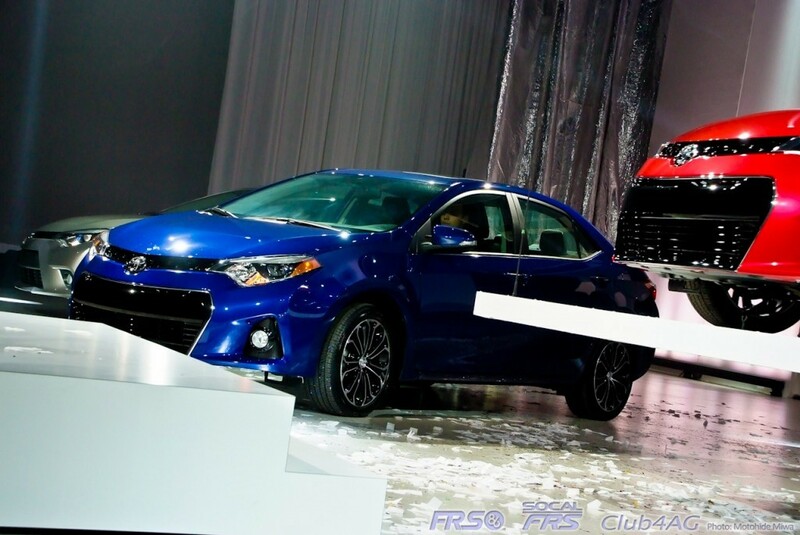 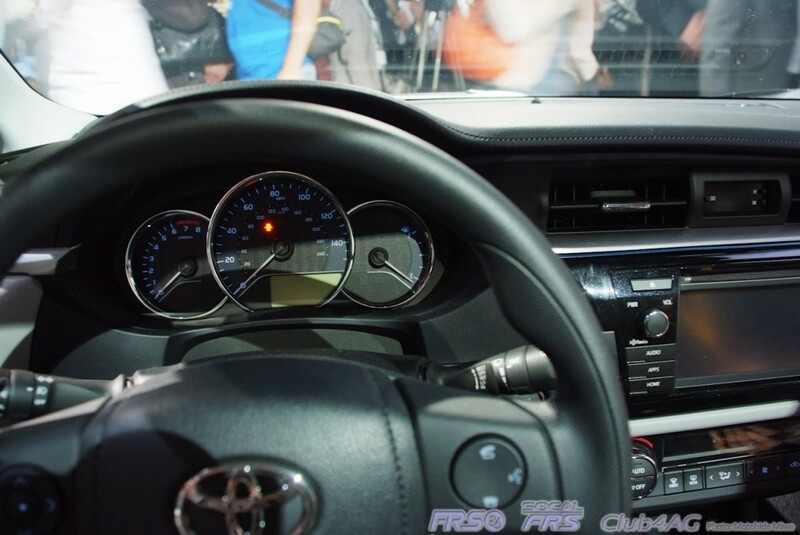 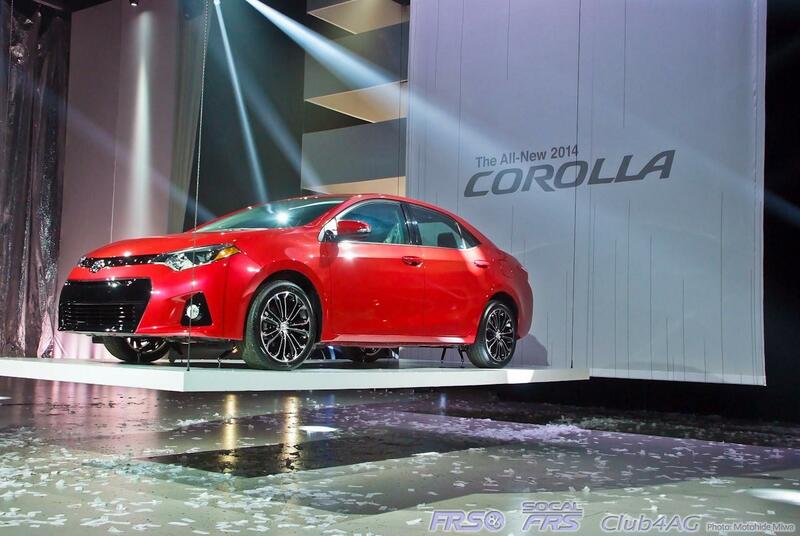 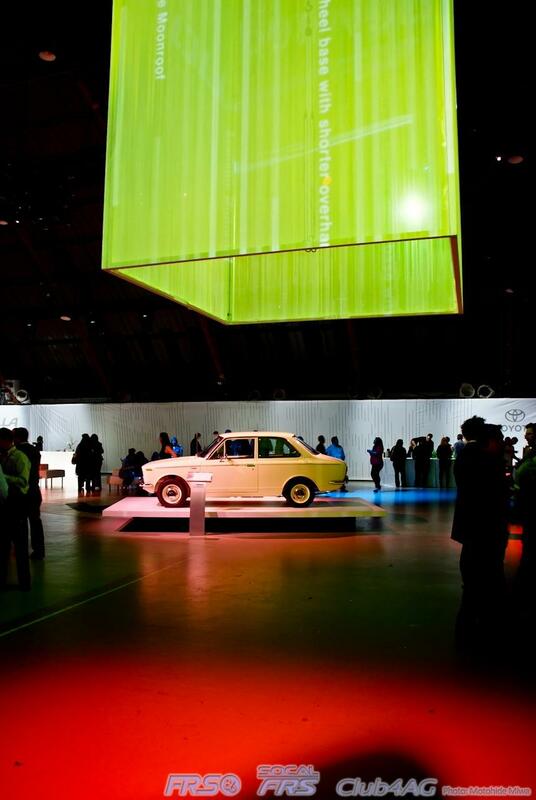 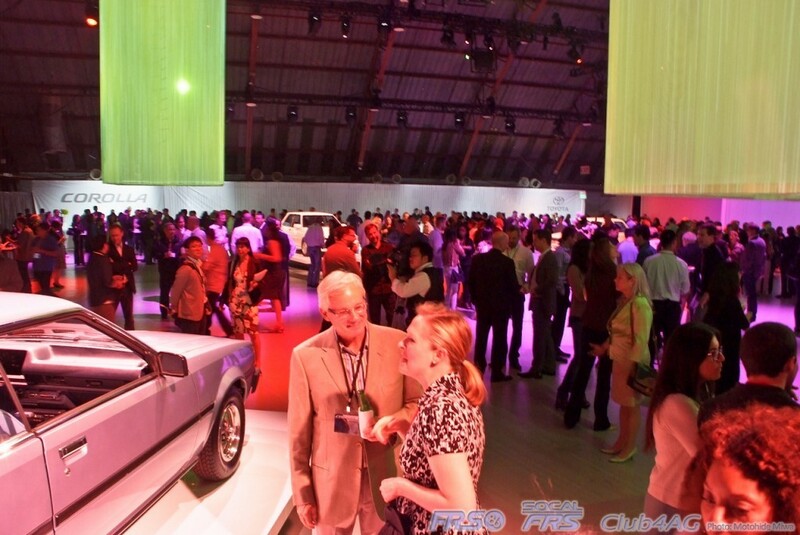 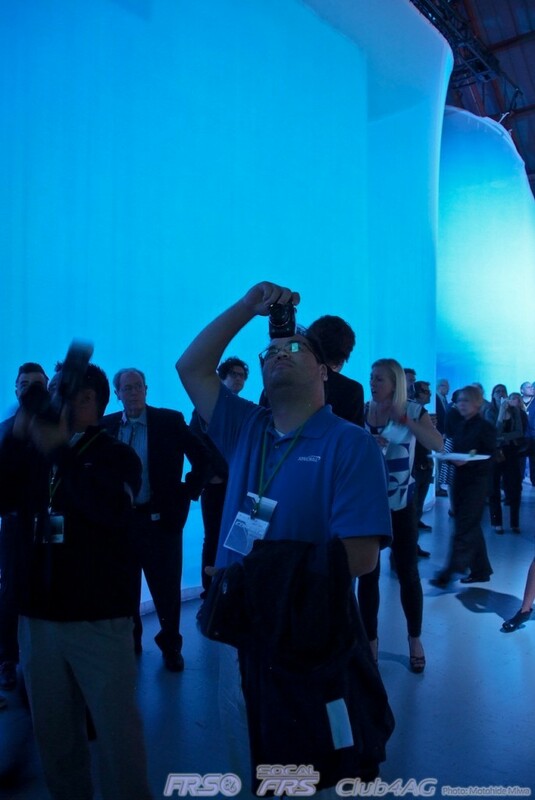 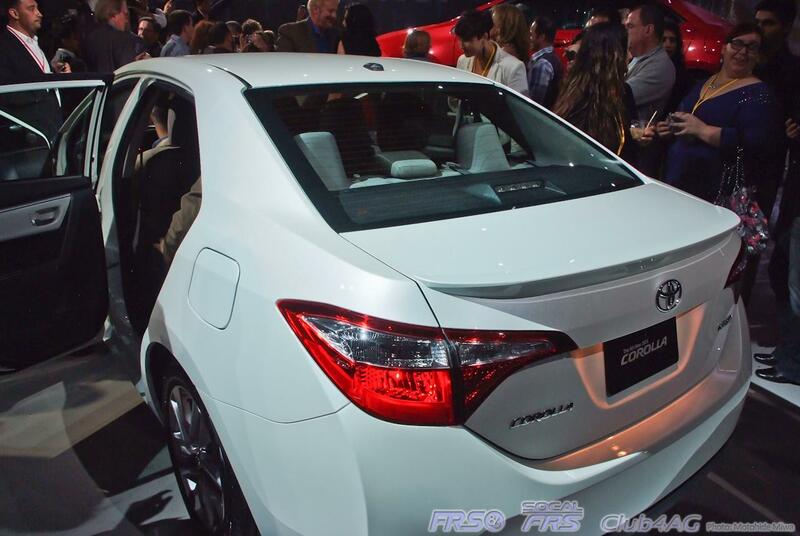 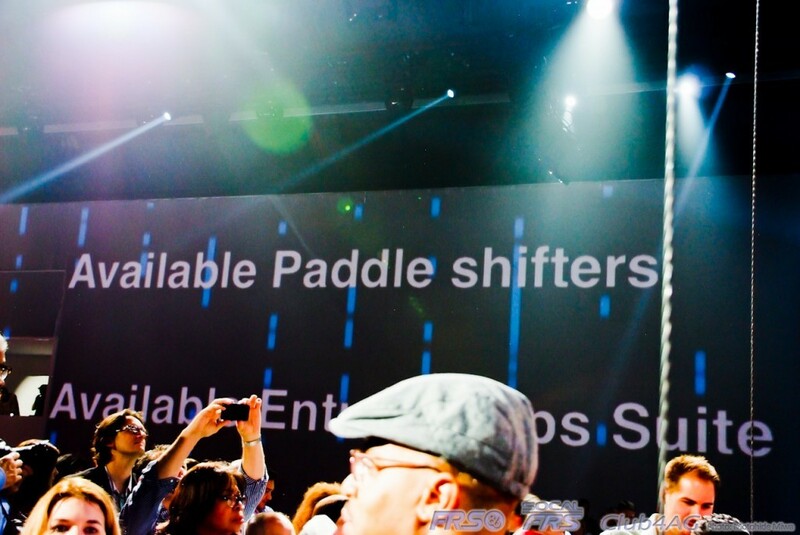 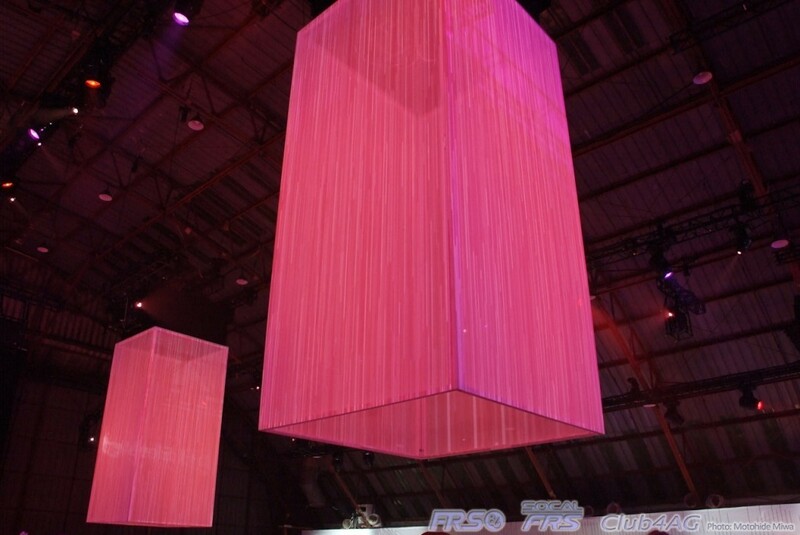 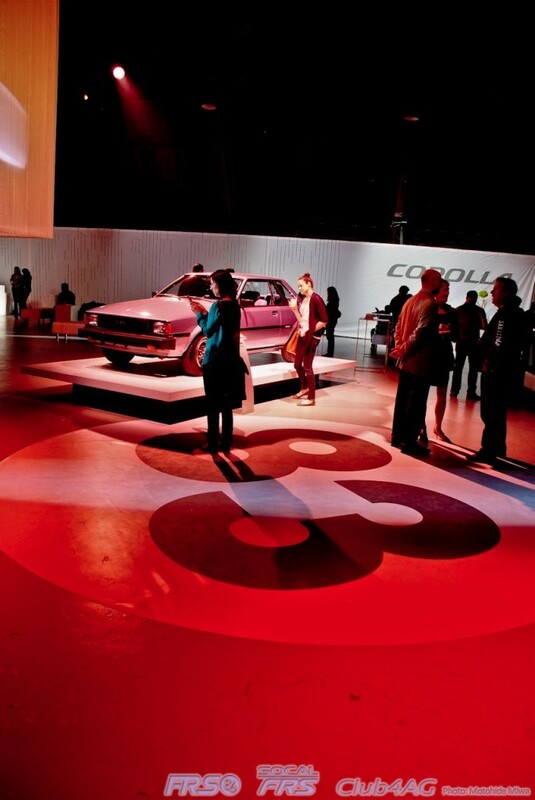 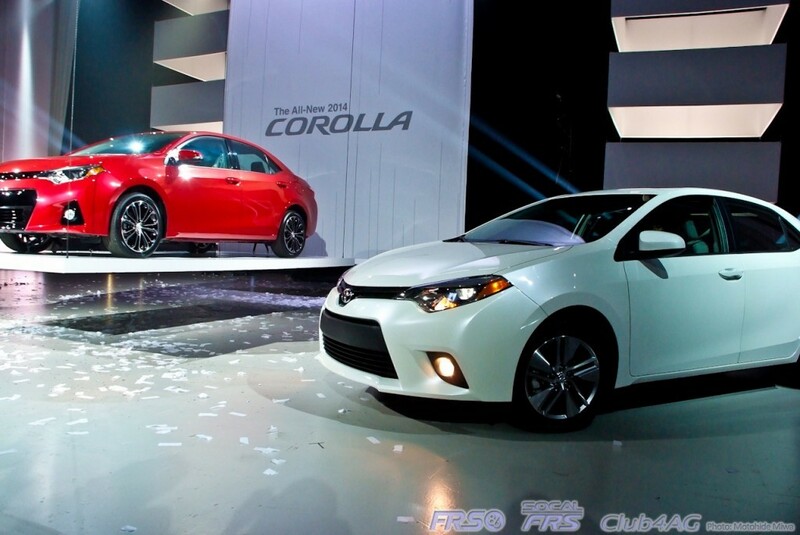 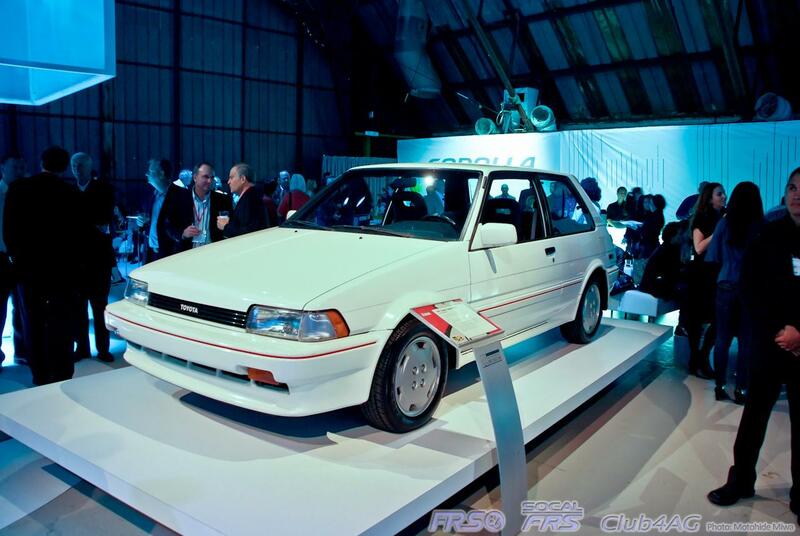 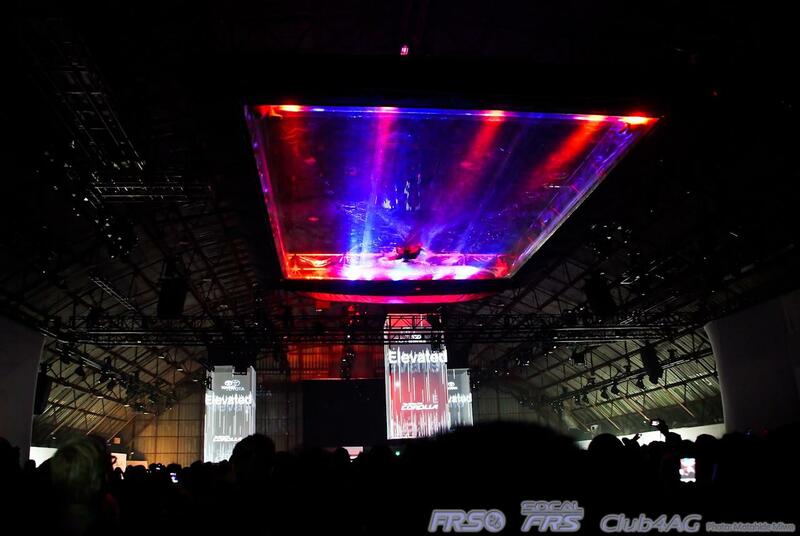 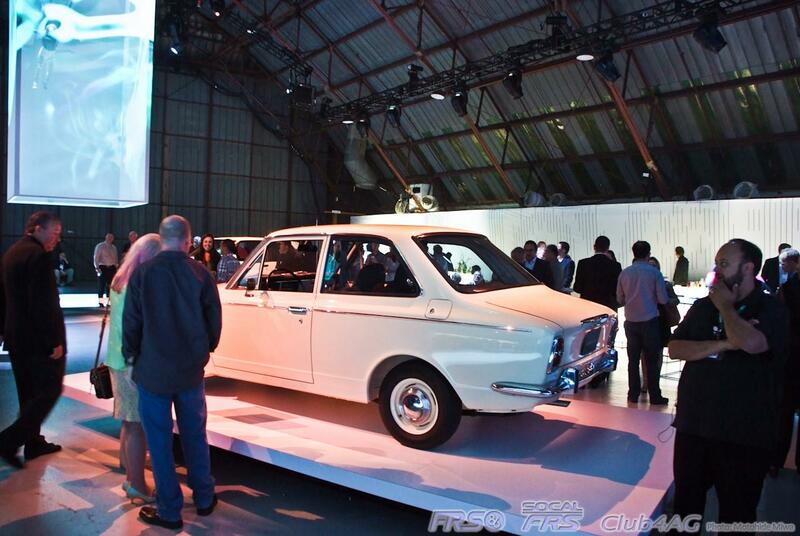 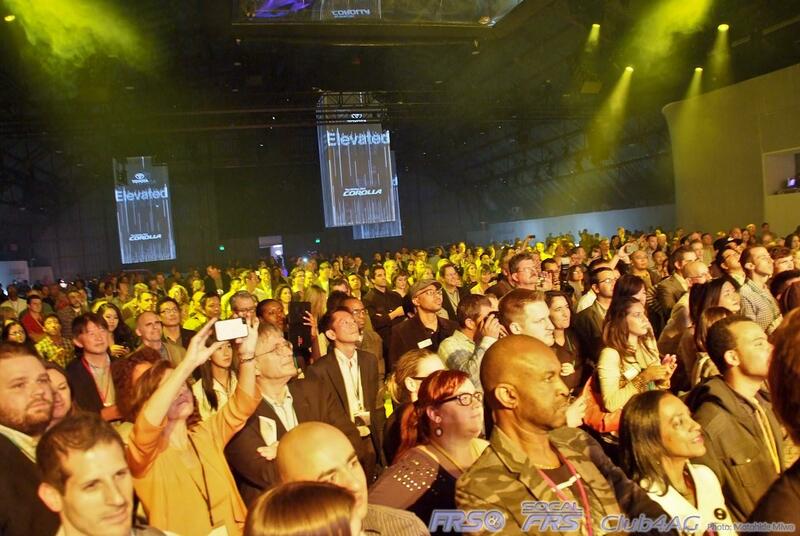 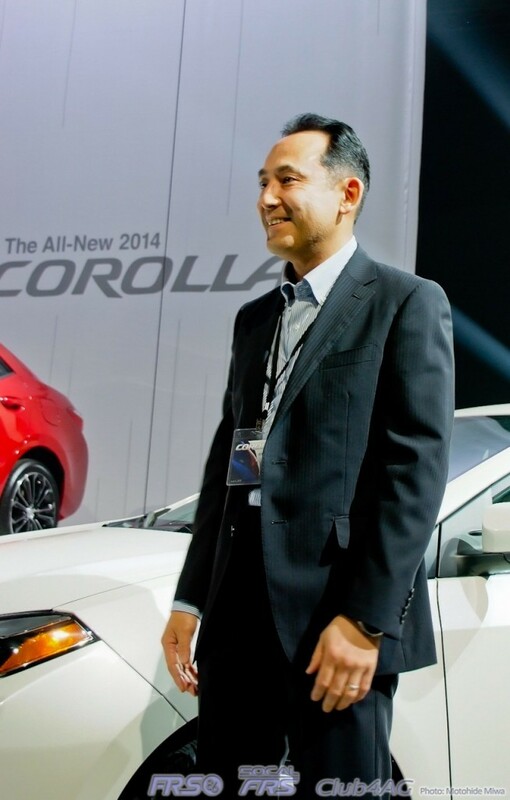 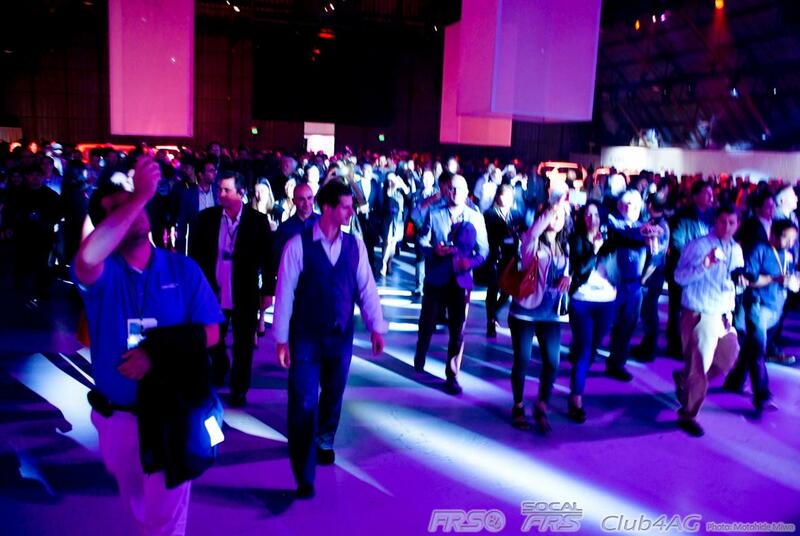 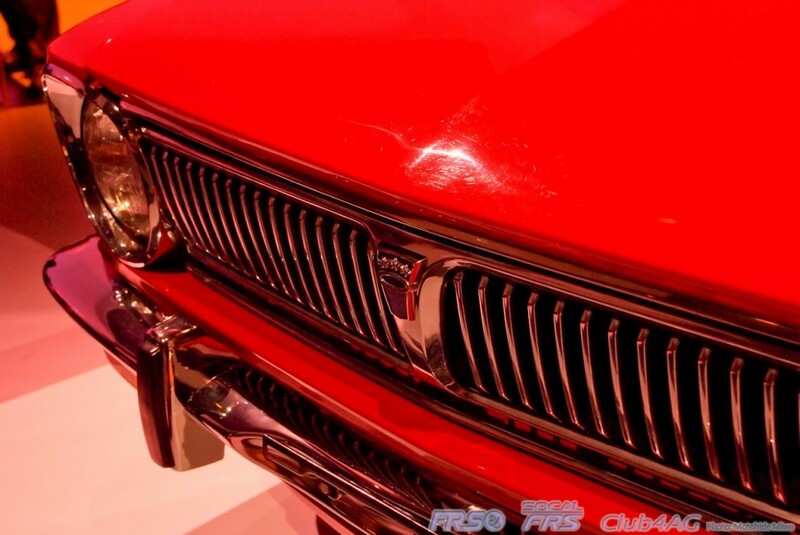 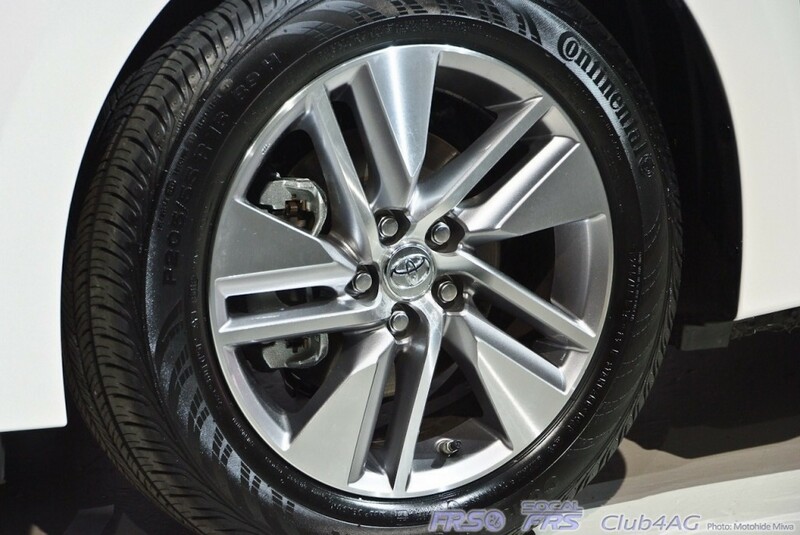 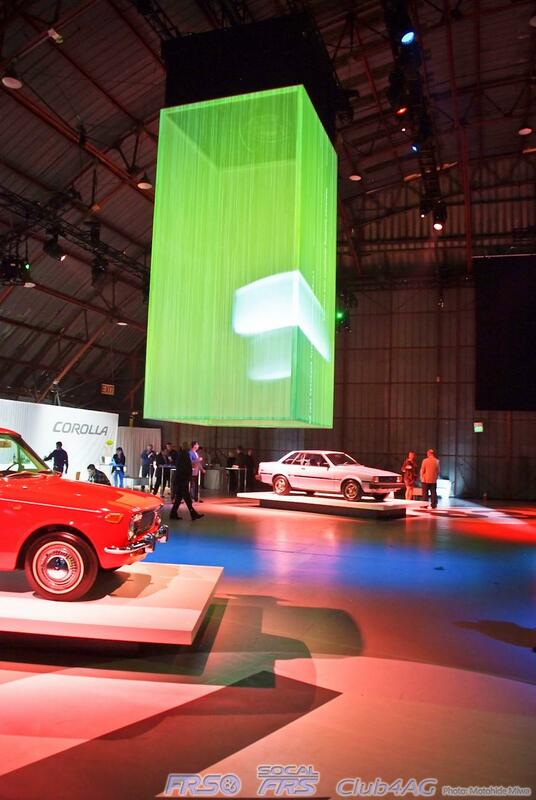 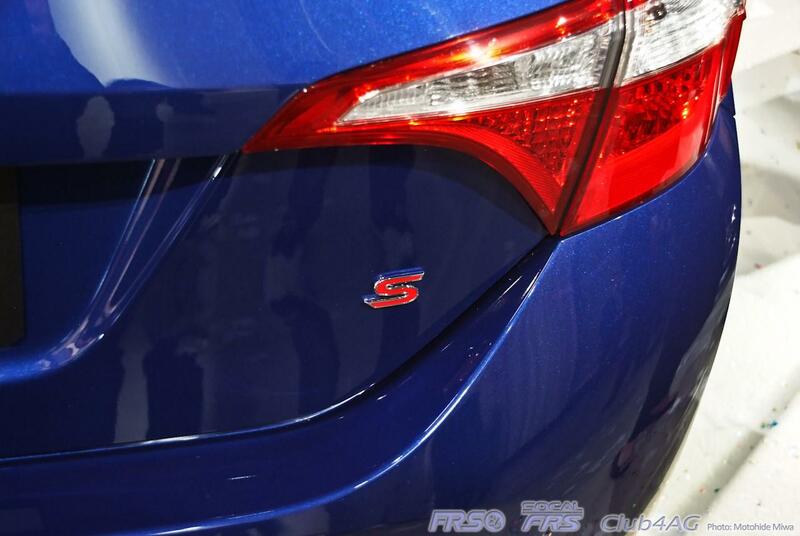 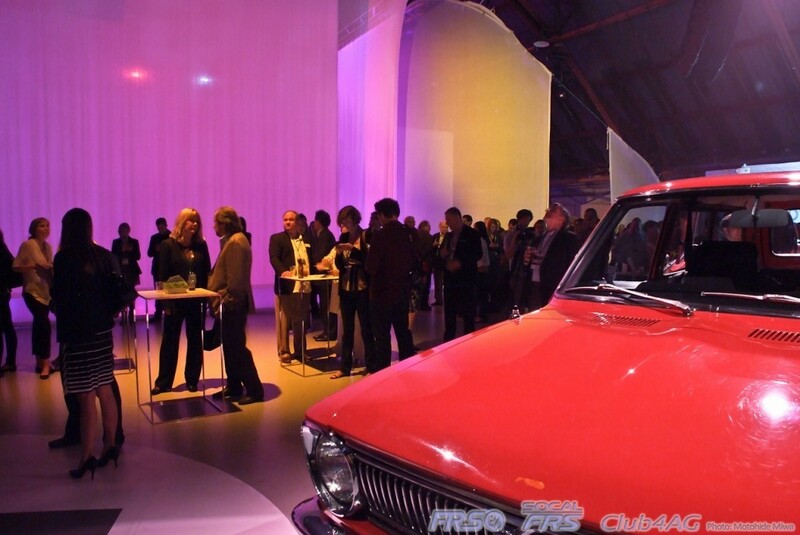 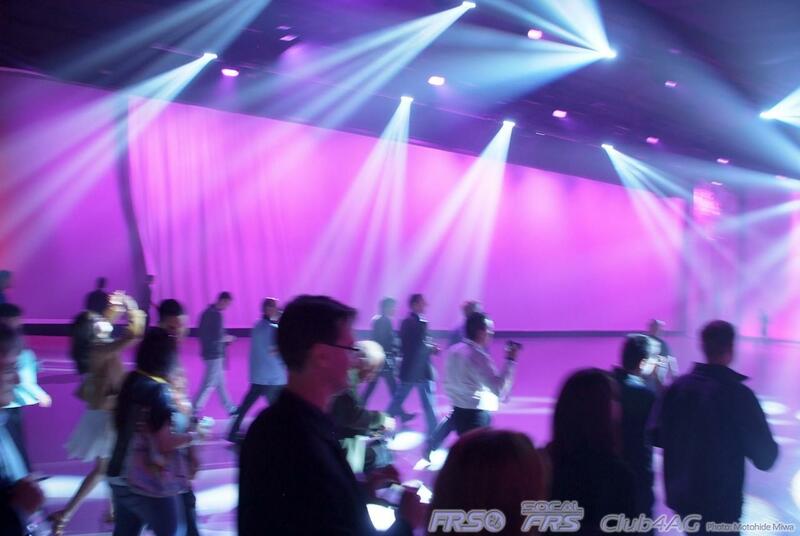 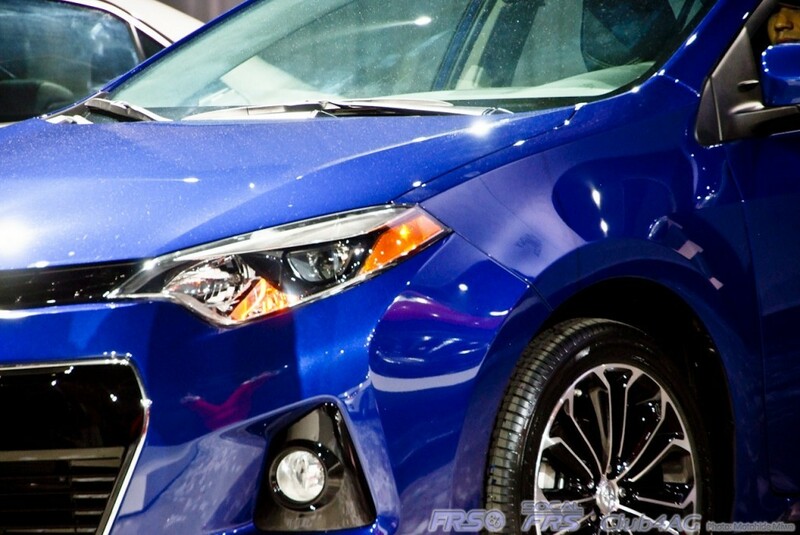 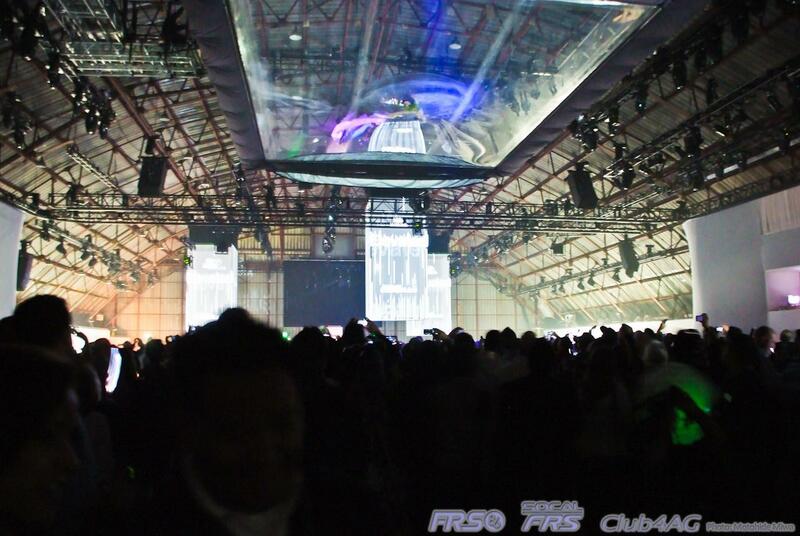 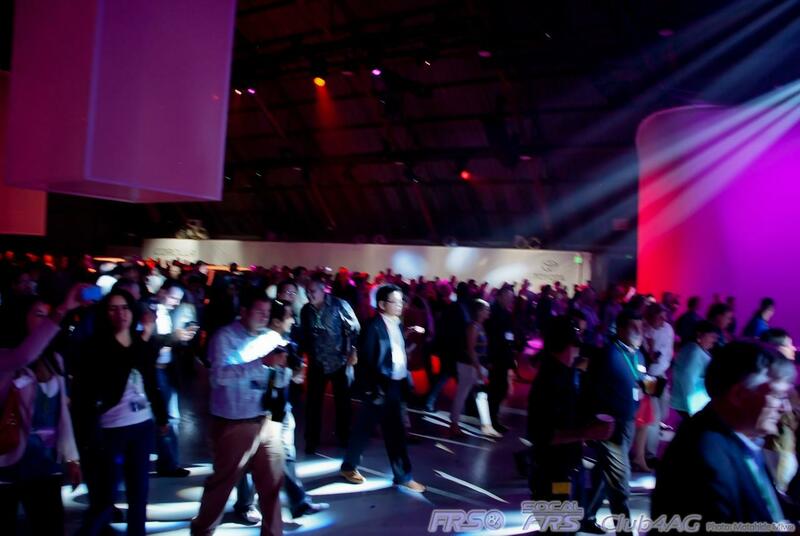 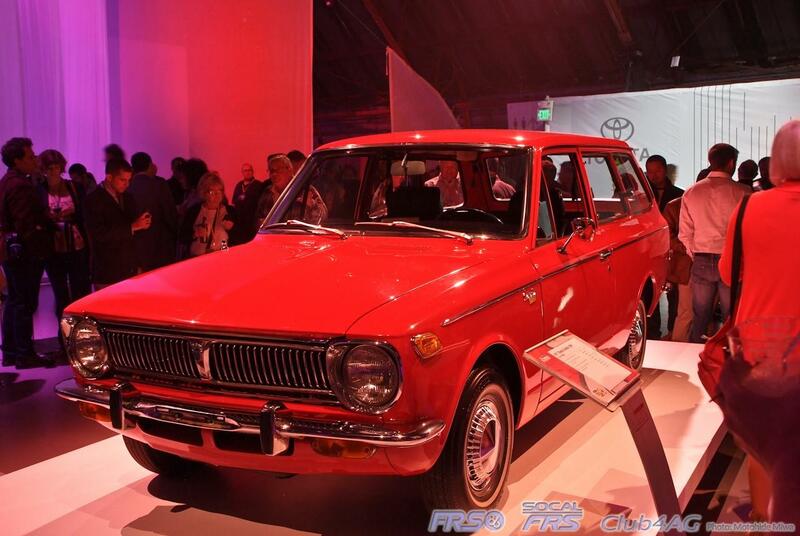 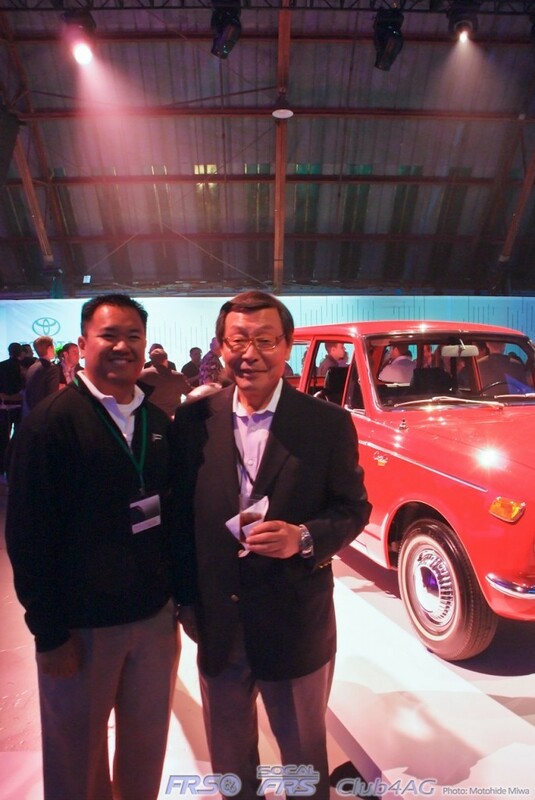 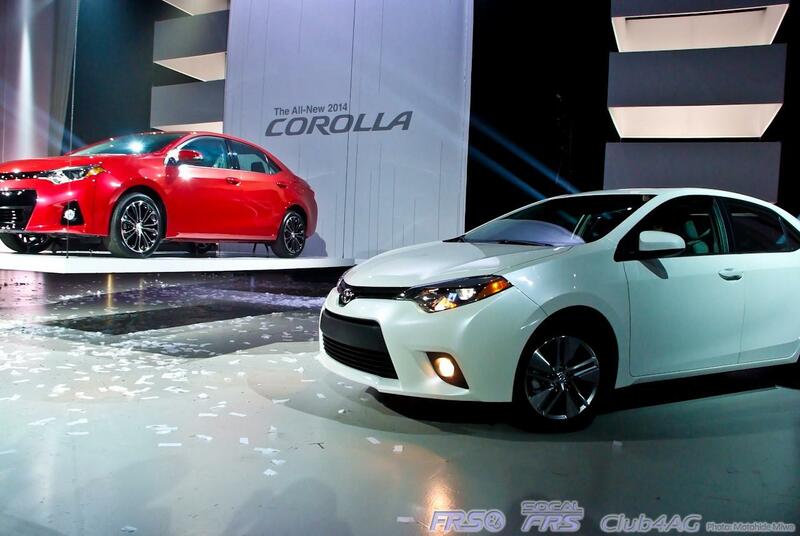 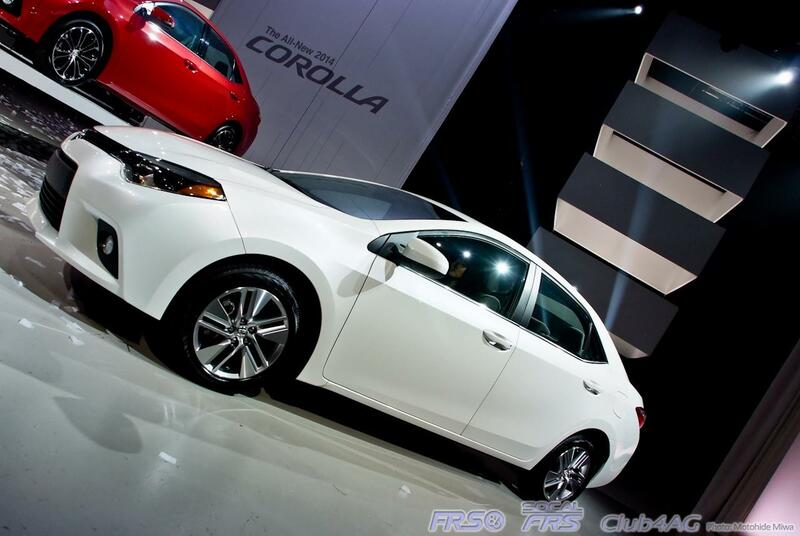 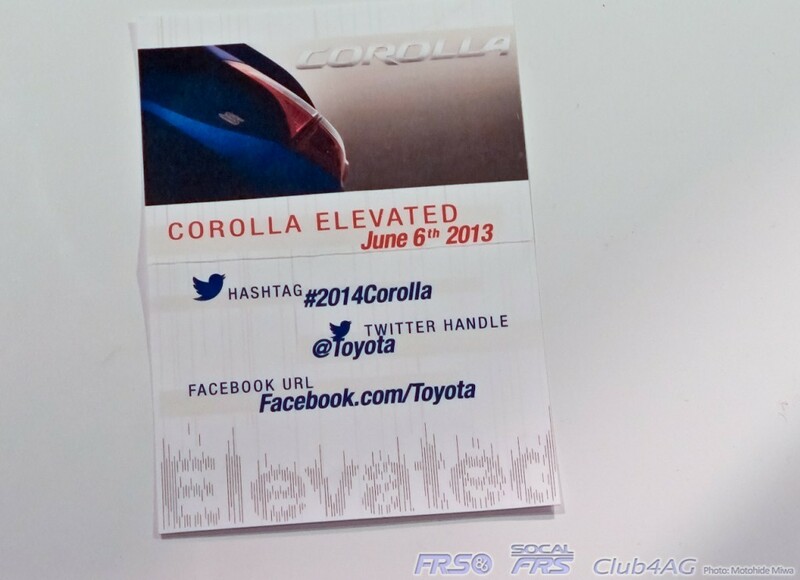 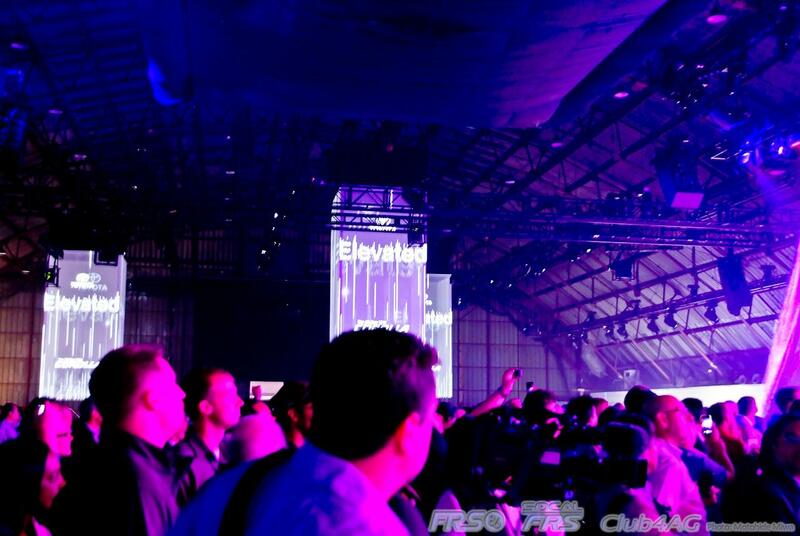 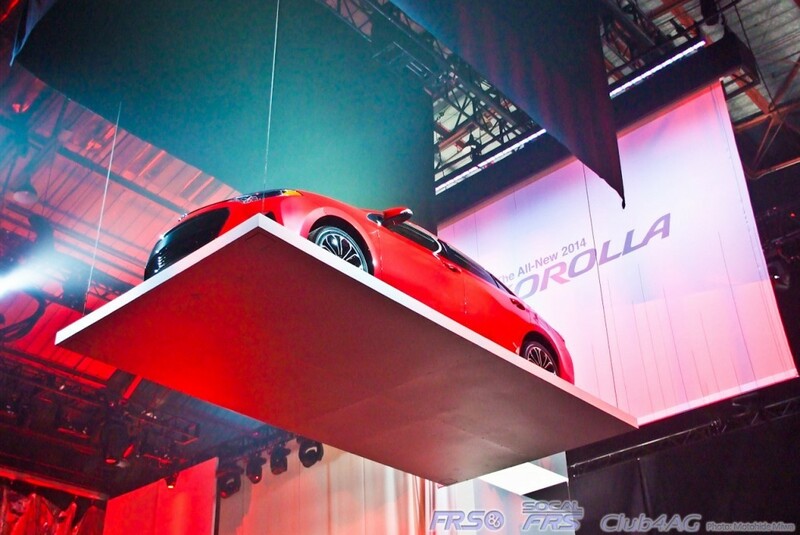 Home›Automotive News›Launching the All-New 2014 Toyota Corolla, the epic "Corolla Elevated"
The all new 2014 Toyota Corolla Launch event was held inside a massive hangar, with surprises at every interval throughout the evening. 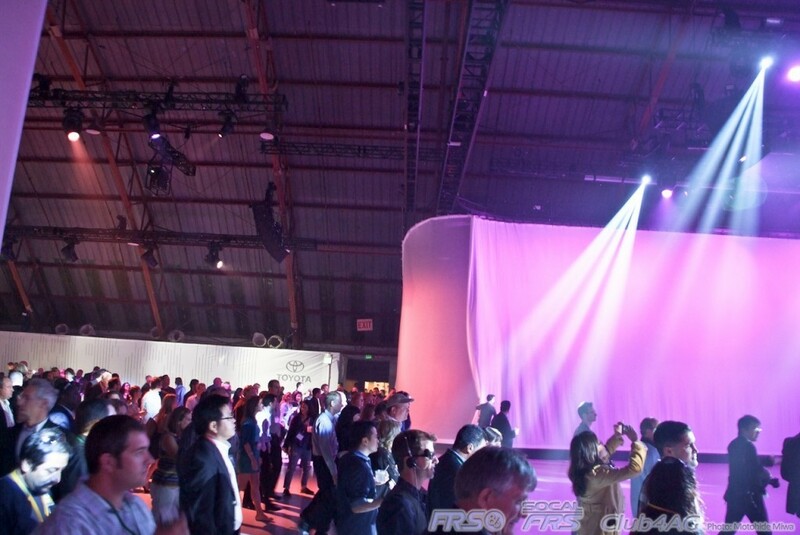 Culinary plates by Richard Blais, the star of "Top Chef" treated over 700 guests at this epic launch event. 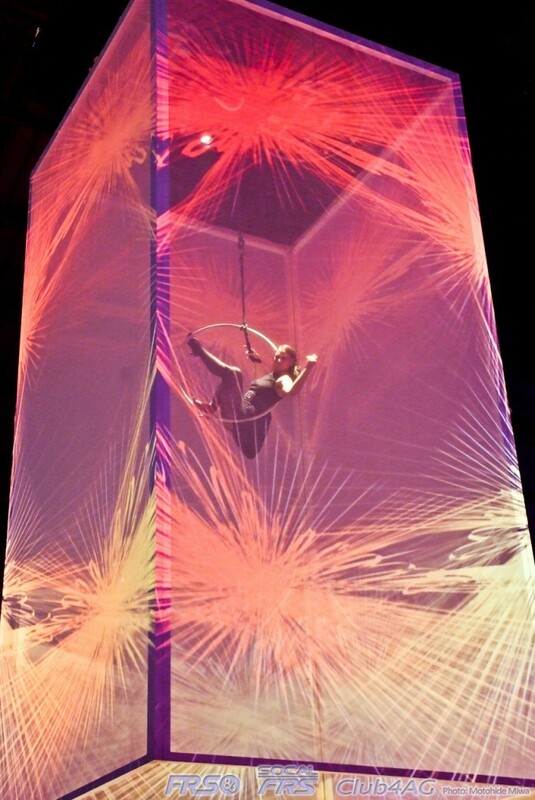 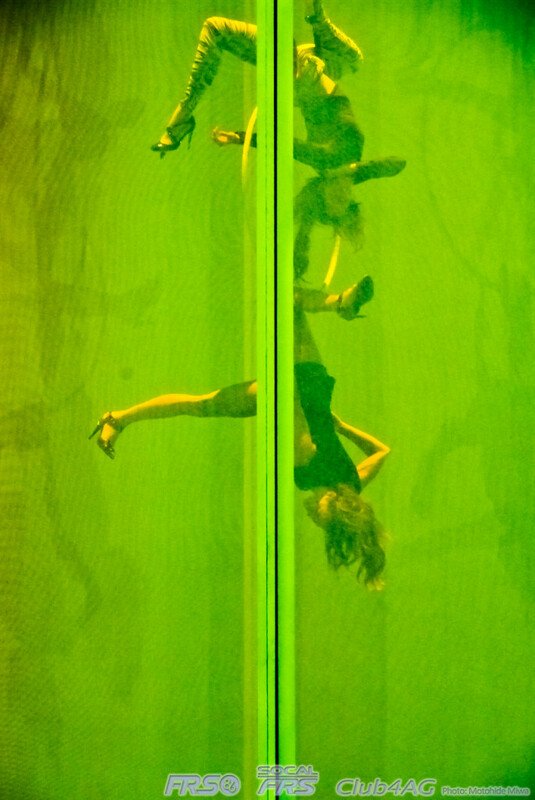 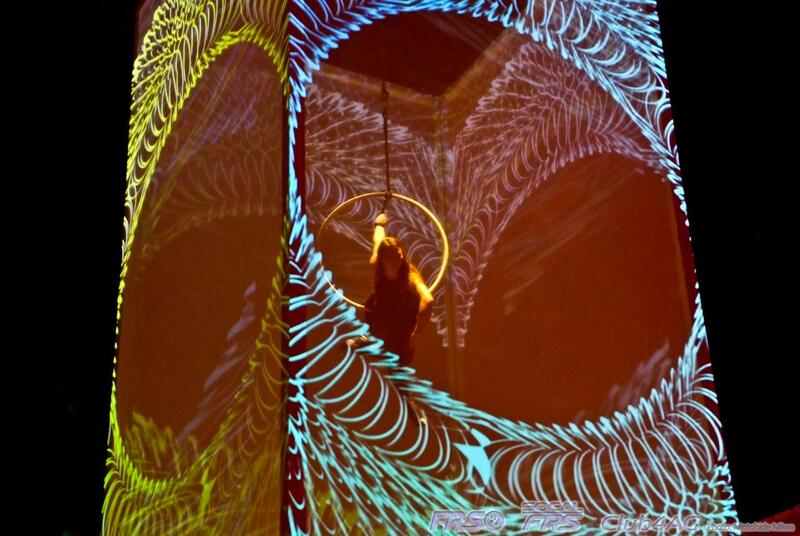 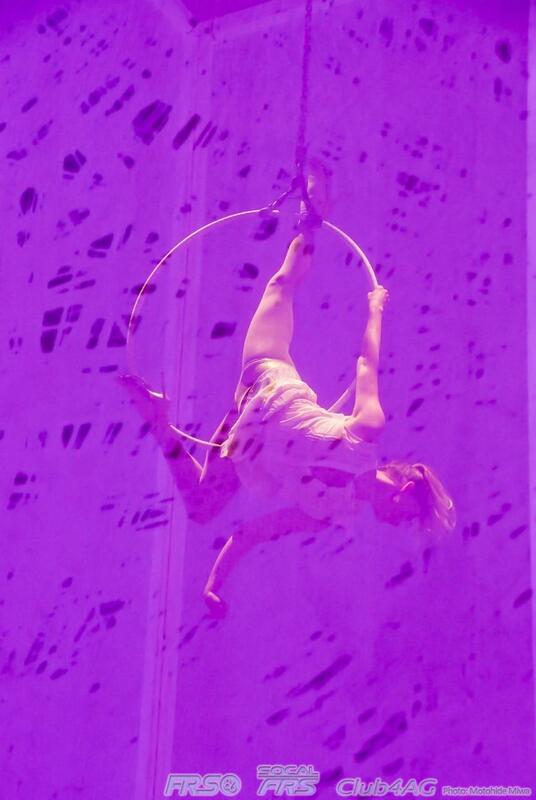 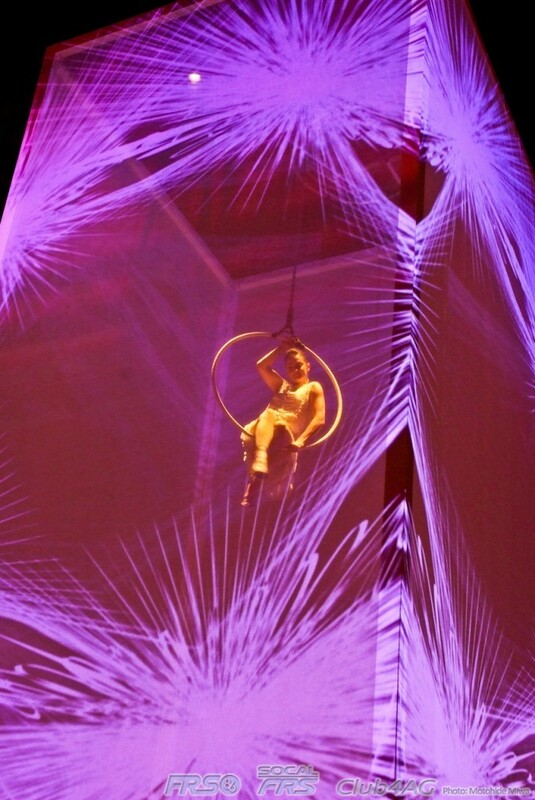 The performance by the acrobatic sky-dancers of Fuerza Bruta, from Argentina preceded the revealing of the 2014 Corolla with a spectacular three part show that included performers dancing in air, stage performances, and even a huge see-though pool hanging 50 feet from the ground, hung on the ceiling with synchronized swimmers playing with the ripples and waves. 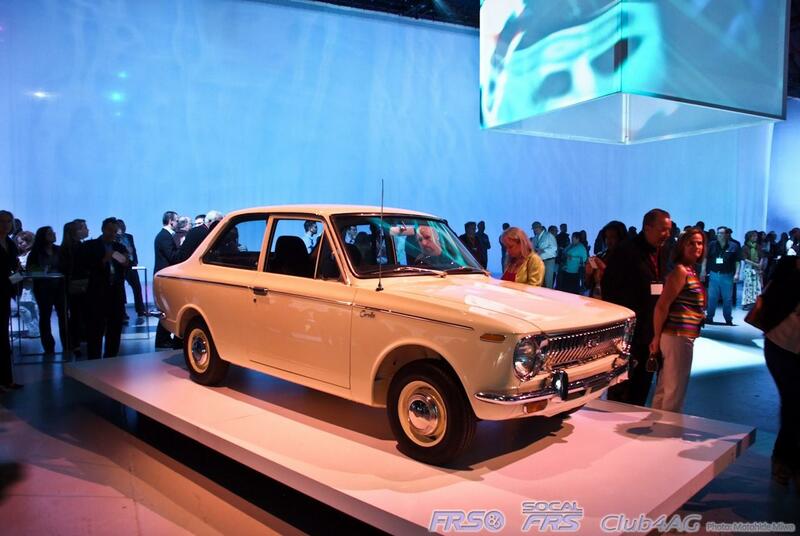 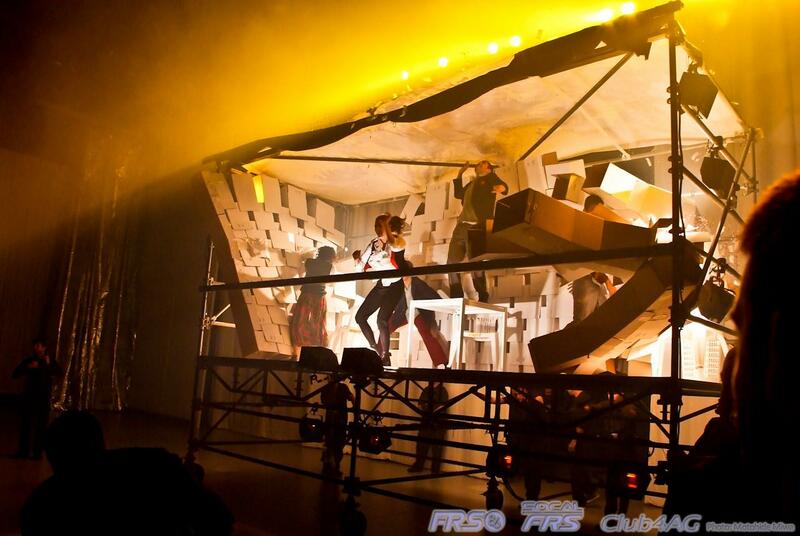 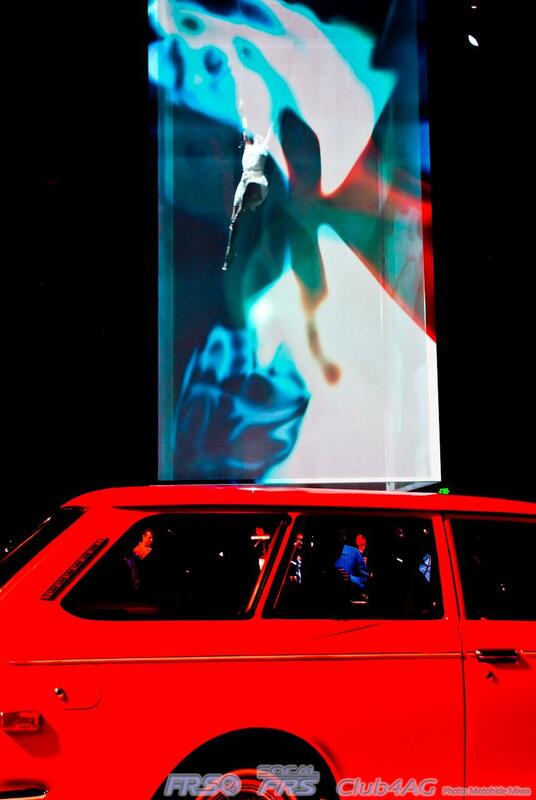 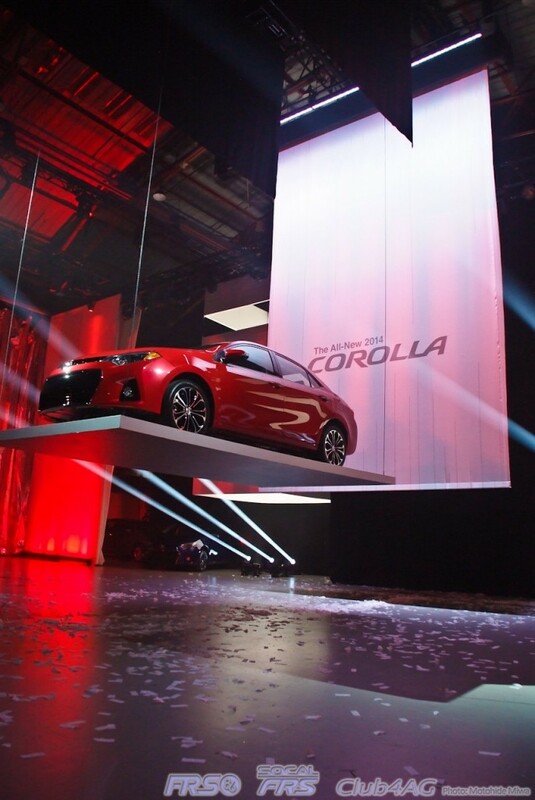 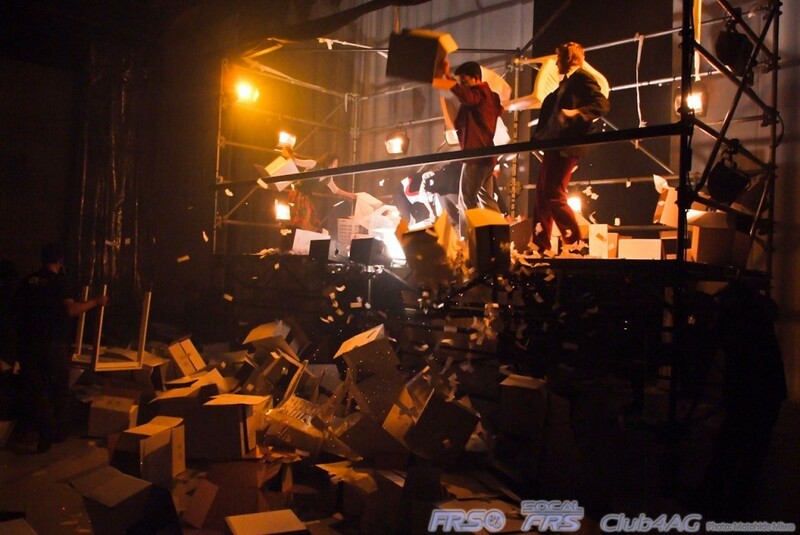 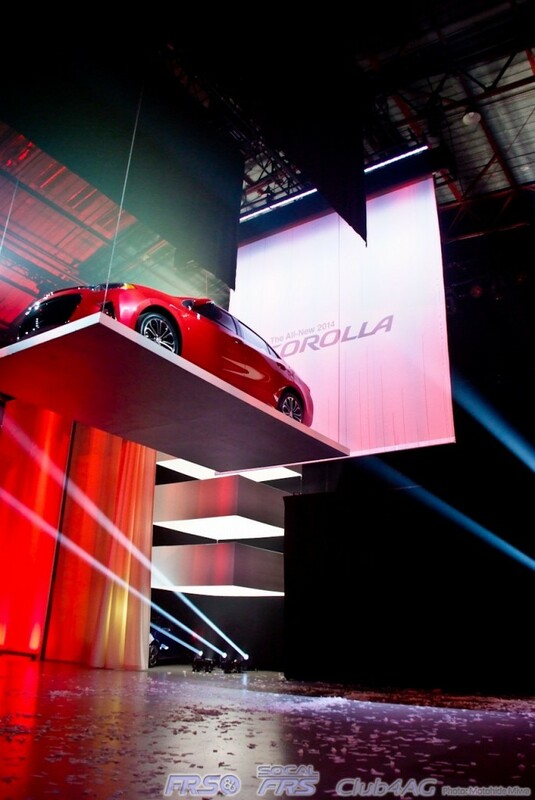 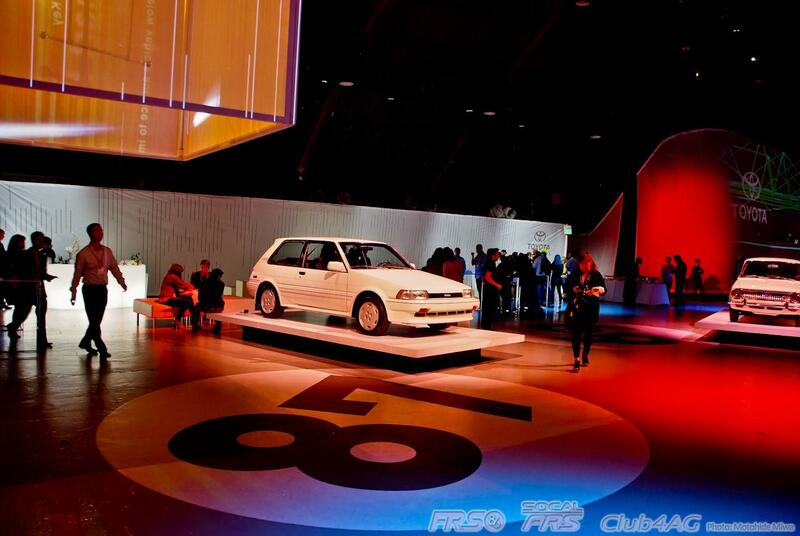 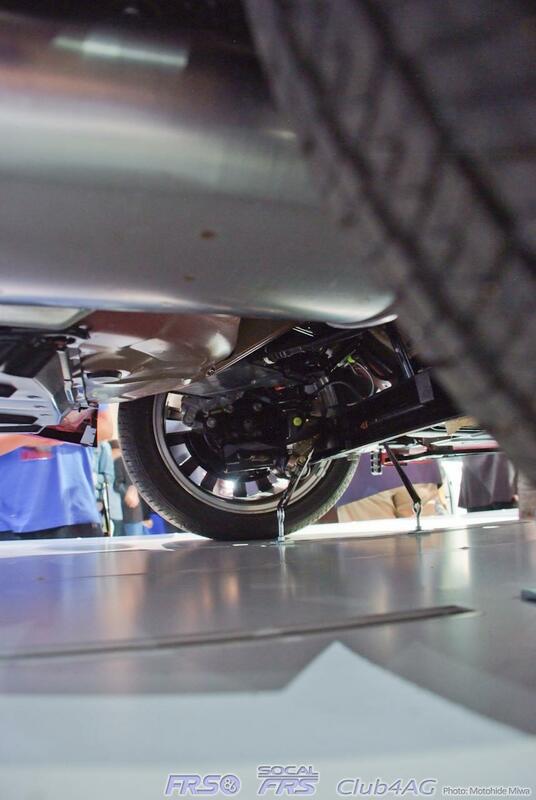 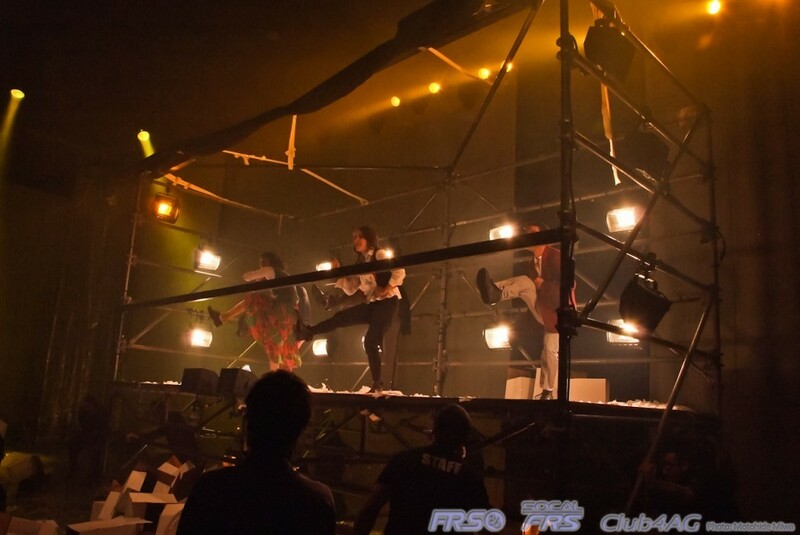 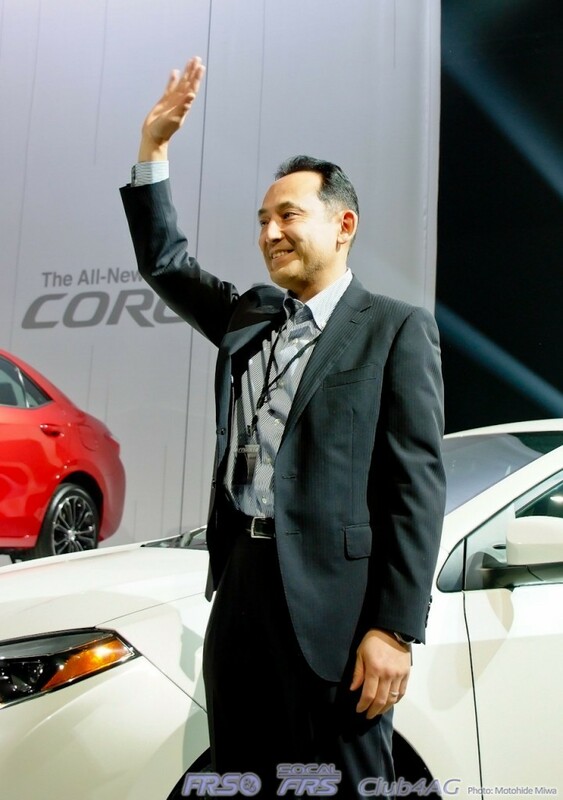 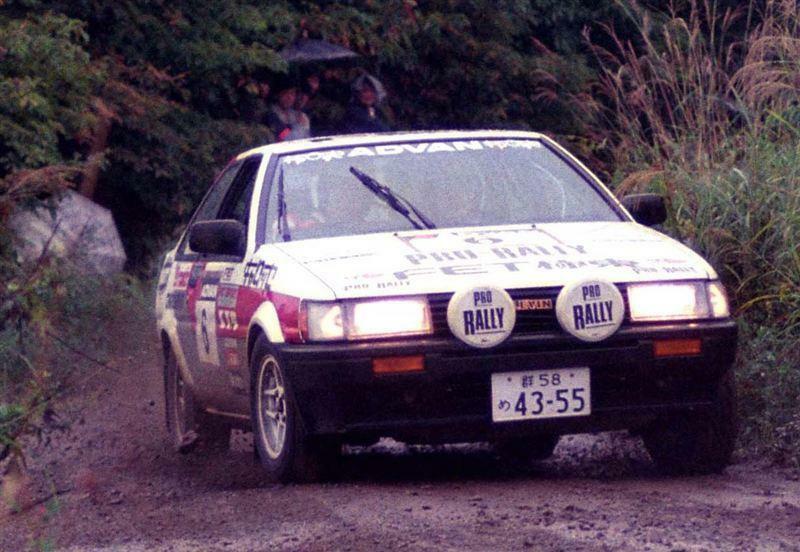 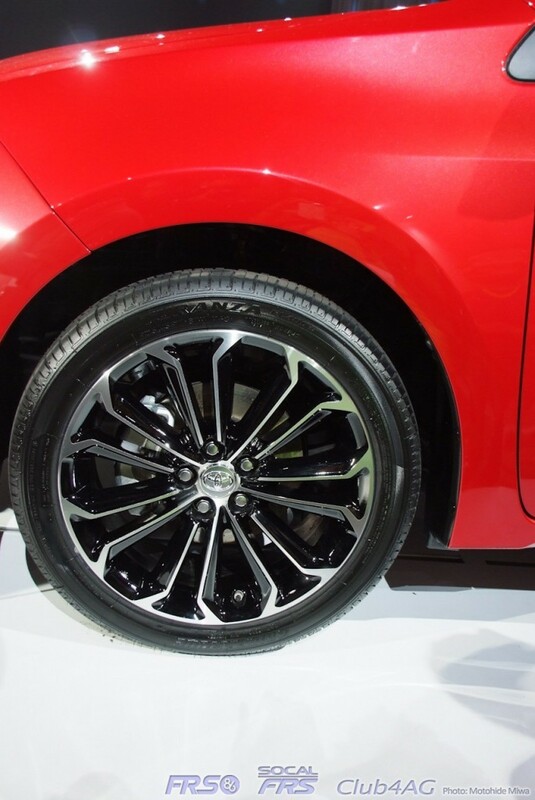 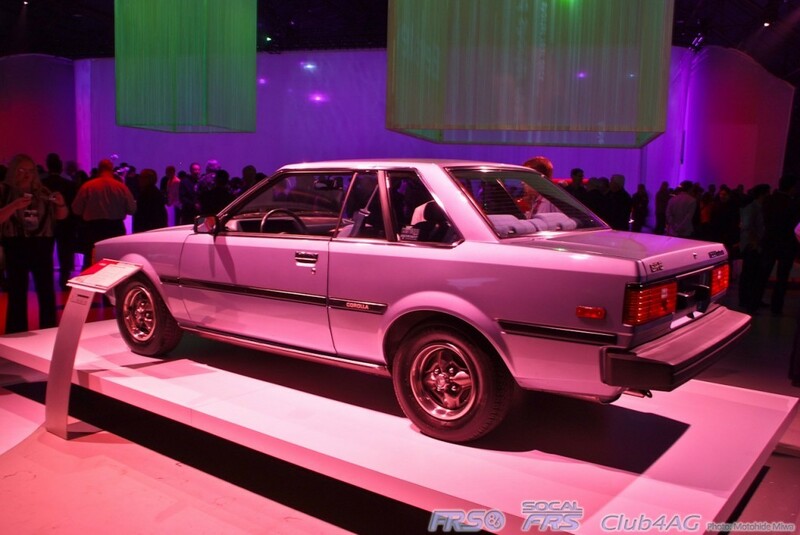 Upon completion of the show, the All-New Toyota Corolla was lowered from the ceiling on a motion-platform stage, launching the Corolla "Elevated." 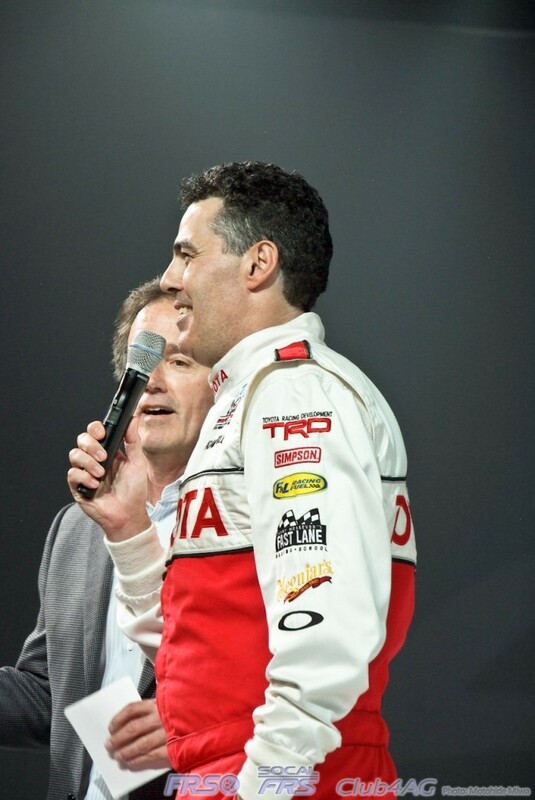 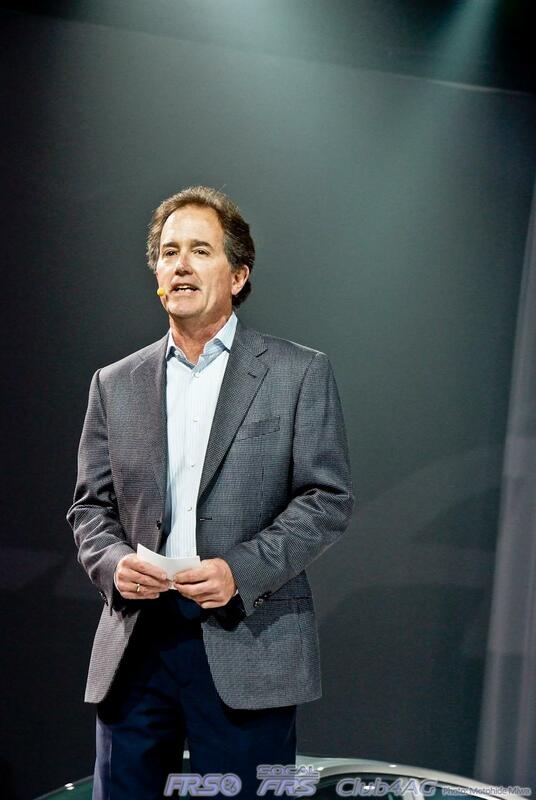 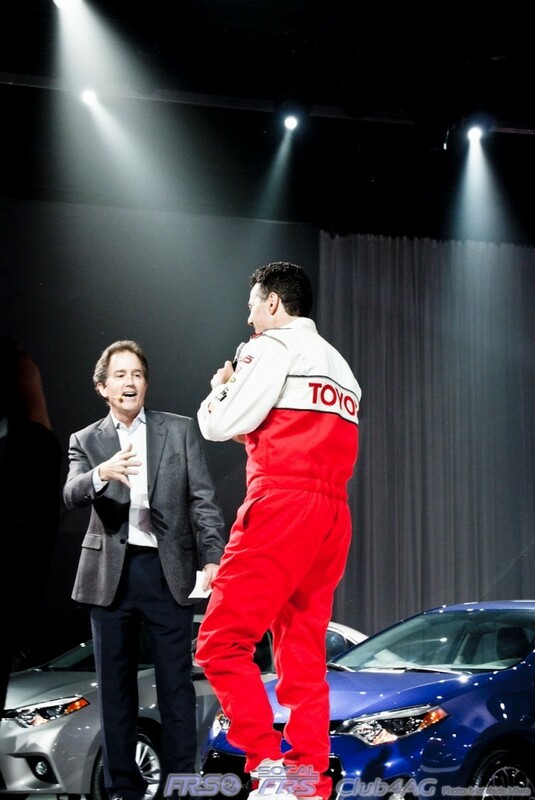 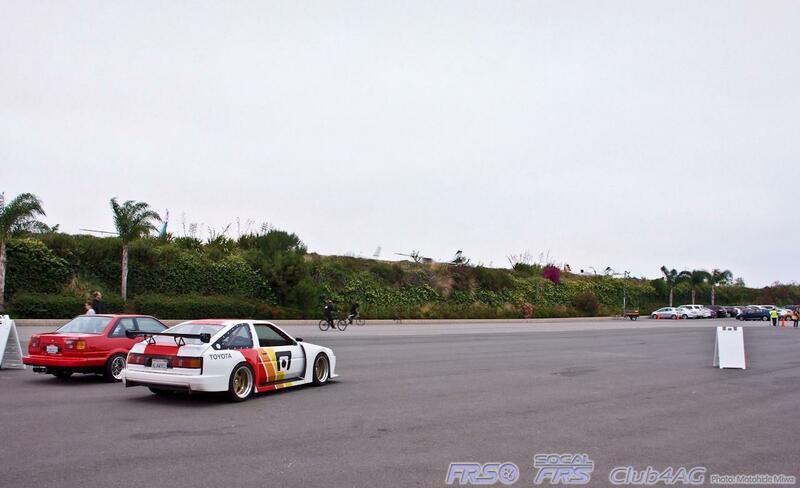 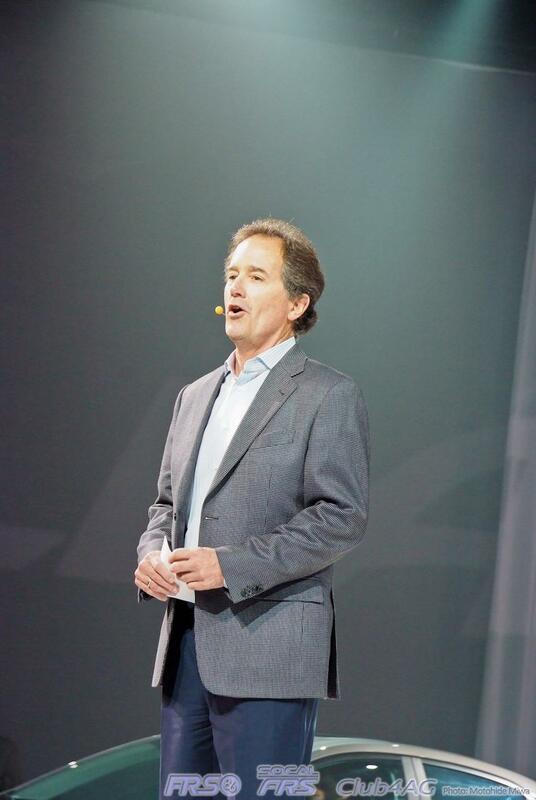 General Manager, and VP of Sales, Bill Fay addressed the large audience with charm and excitement, accompanied later on stage, by the Chief Engineer, S. Yasui and the Long Beach GP, Celebrity Race winner and comedian, Adam Carolla. Just as surprising as the show and the seemingly huge planning, execution, and expense spent on the Corolla launch party, was the all-new 2014 Corolla itself. 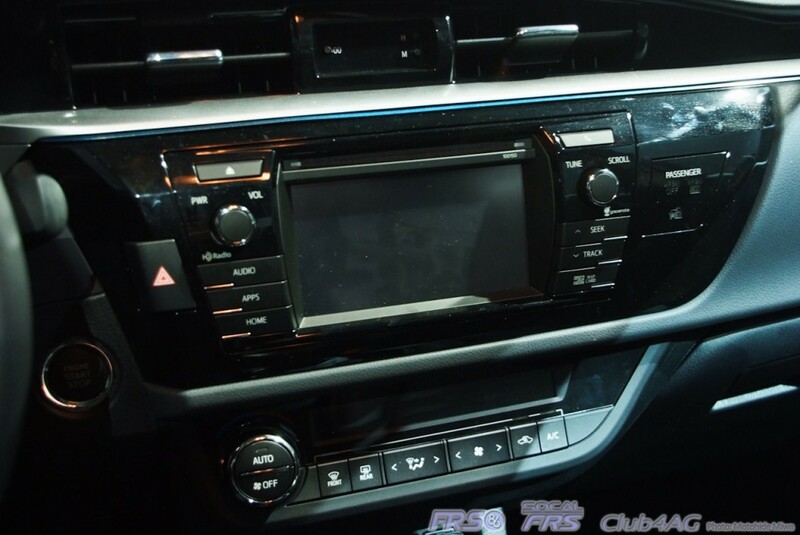 The list of standard features, as well as many of the optional components, on the new Corolla just break every barrier in terms of advancement and convenience. 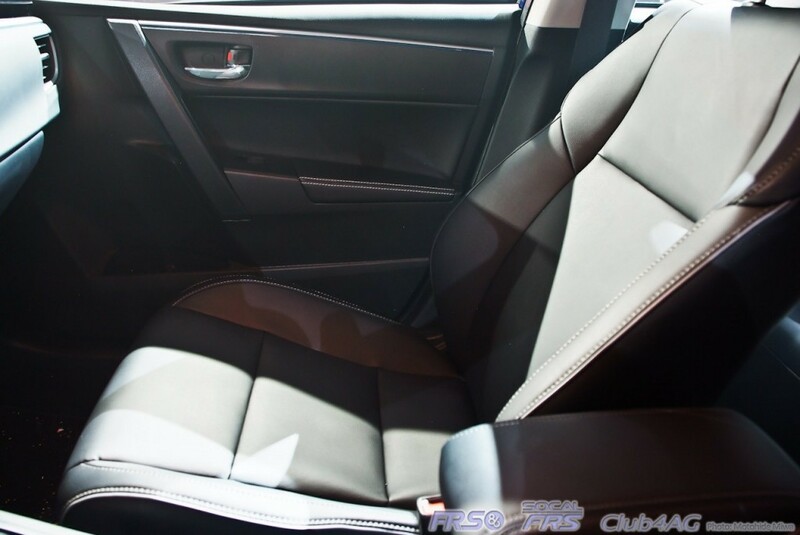 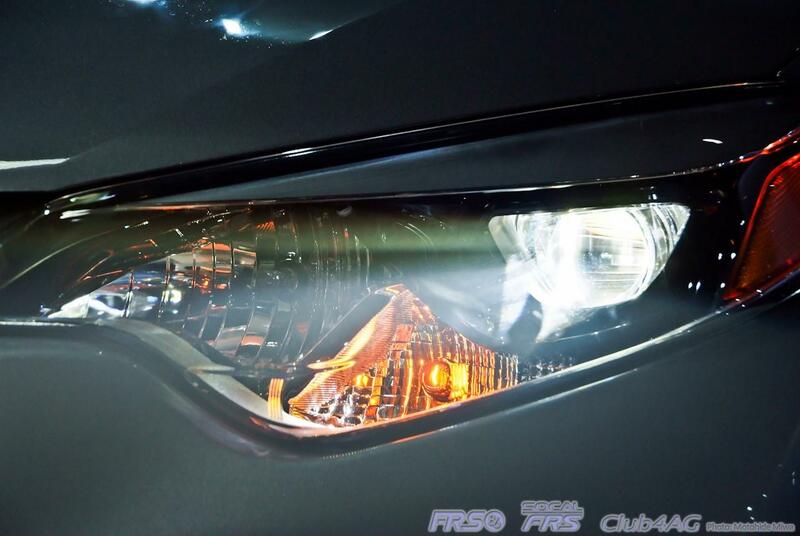 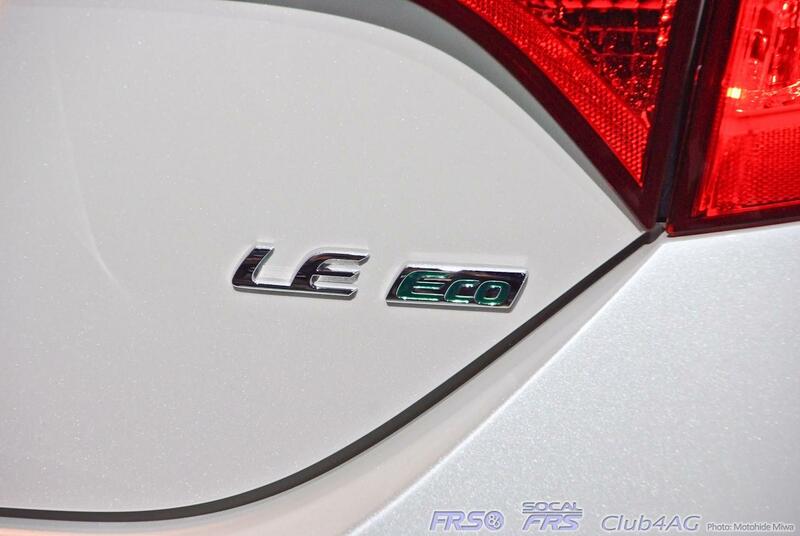 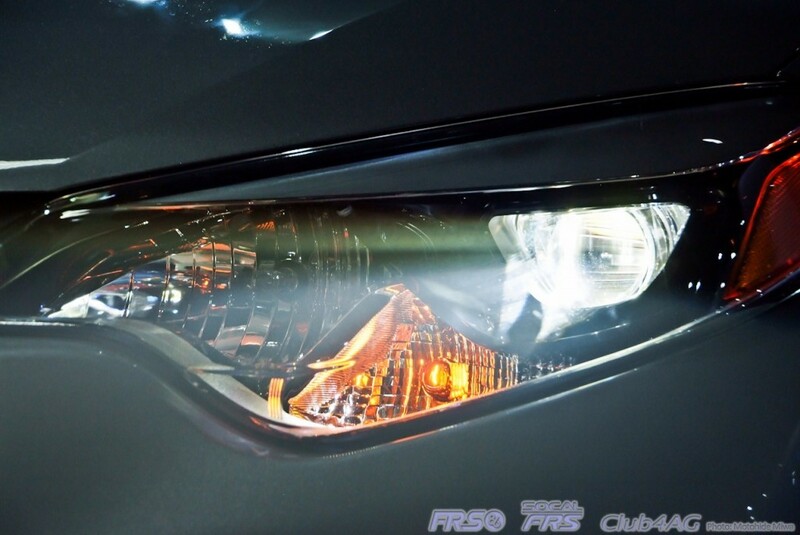 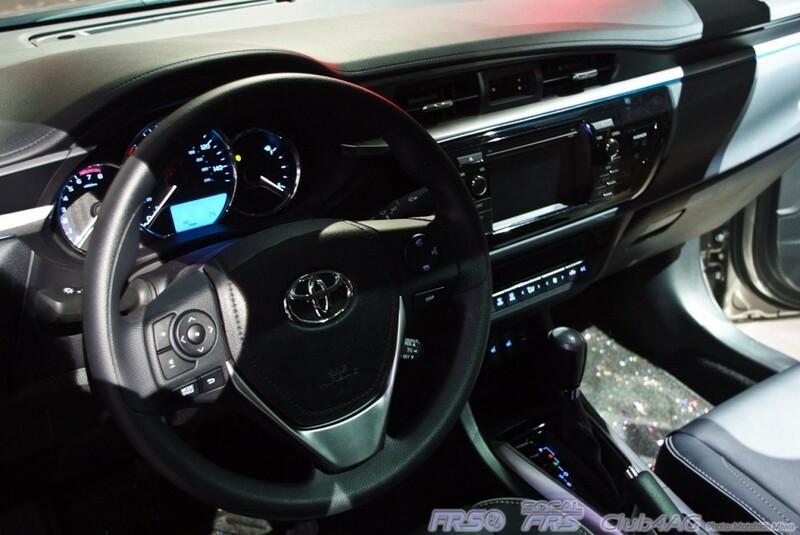 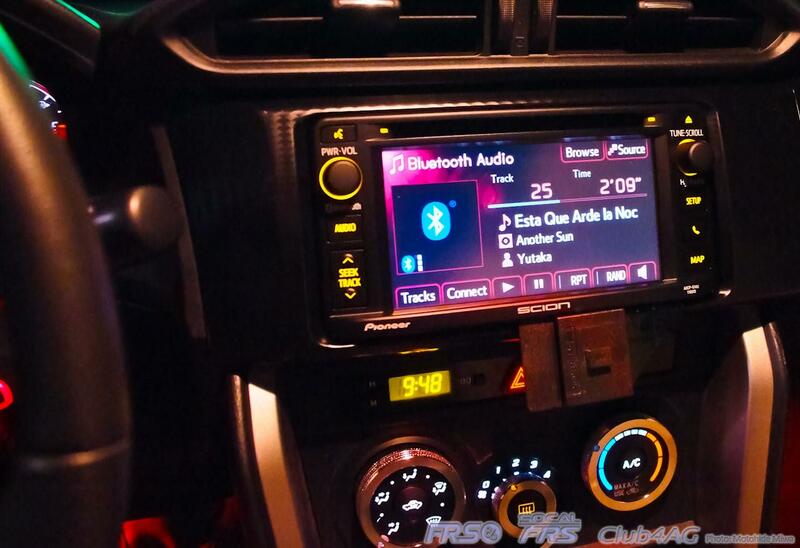 LED headlights, Automatic Climate Control, Seat Heaters, and Touch-Screen Audio System are all features that are traditionally not associated with elements of cars in this class, and proves this time, that the Corolla is not standing still for competition to catch up. 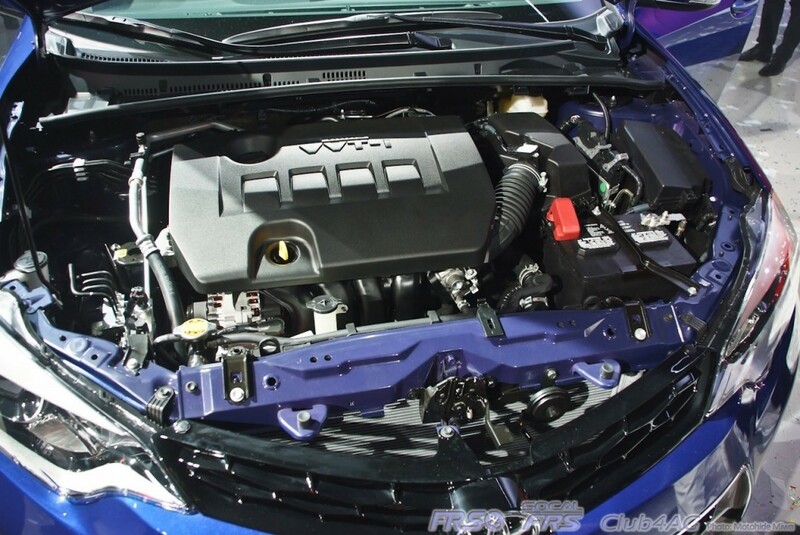 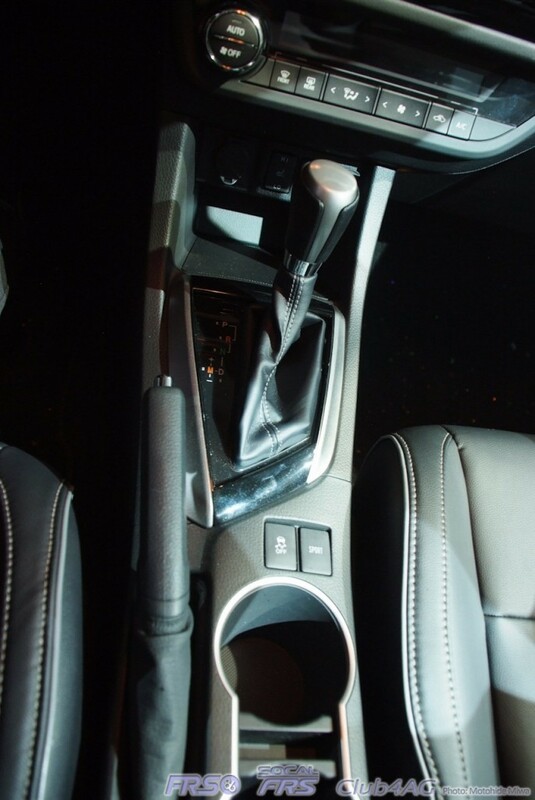 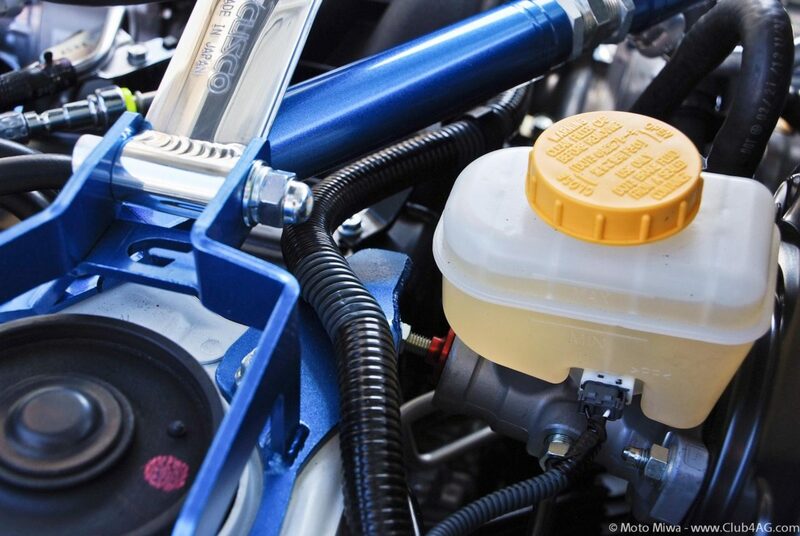 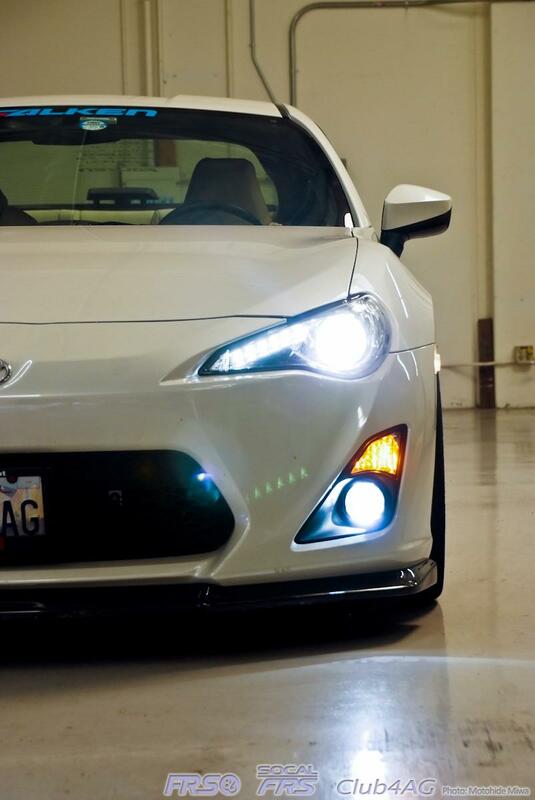 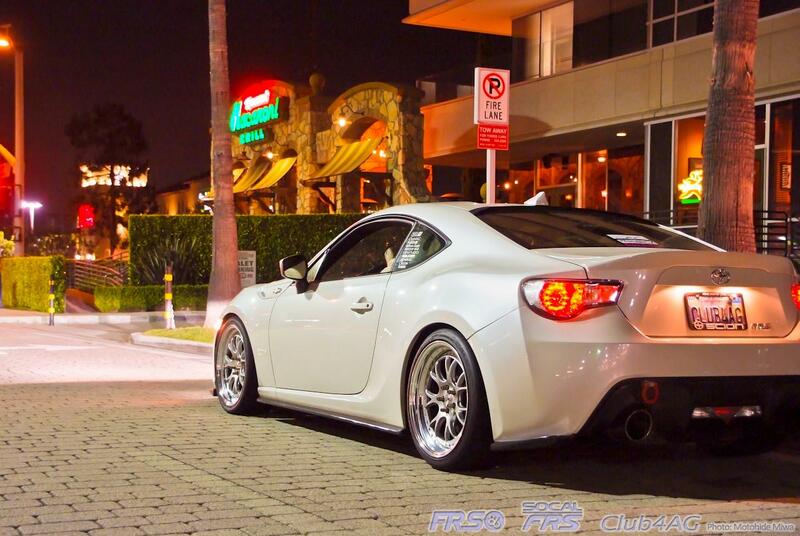 Mechanically also, the new engine features Dual VVTi, Toyota's advanced cam and valve timing, as well as sports-mode paddle shift transmission coupled to a proven CVT system. 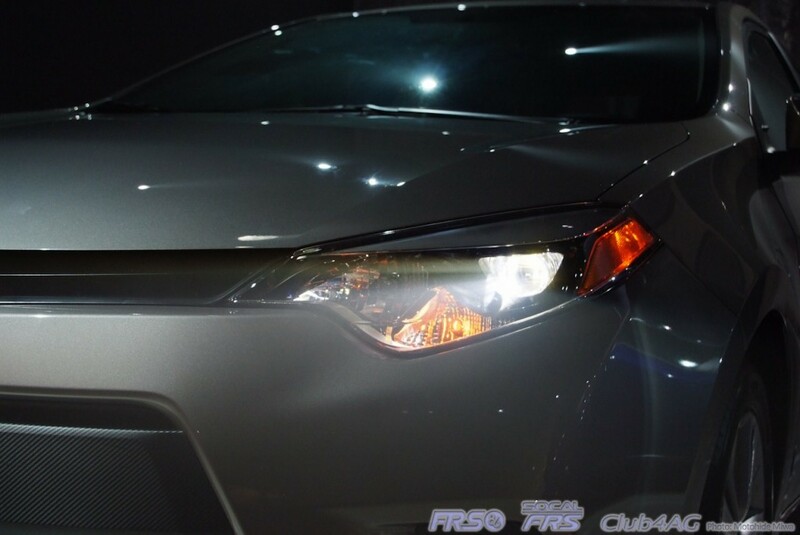 Even at the first glance of the headlights to tail-lamps, it's obvious the this new Corolla takes a giant leap from previously conservative image, to the contemporary status that fits in with the younger technology and style conscious consumers today, but with tasteful execution that won't alienate traditional Corolla owners, keeping in line with he original 1960's Corolla's mission of "Simply putting a smile on each owner's face"
Stepping inside the Corolla in every grade also, everyone would instantly realize the change as well, from a much more pronounced center console, and abundance of switches that all indicate the fact that there's lots of equipment here. All in all, I feel that it may, possibly hit every check-mark on a list of customer wants in every demographic, and still managed to come out attractive and fun. 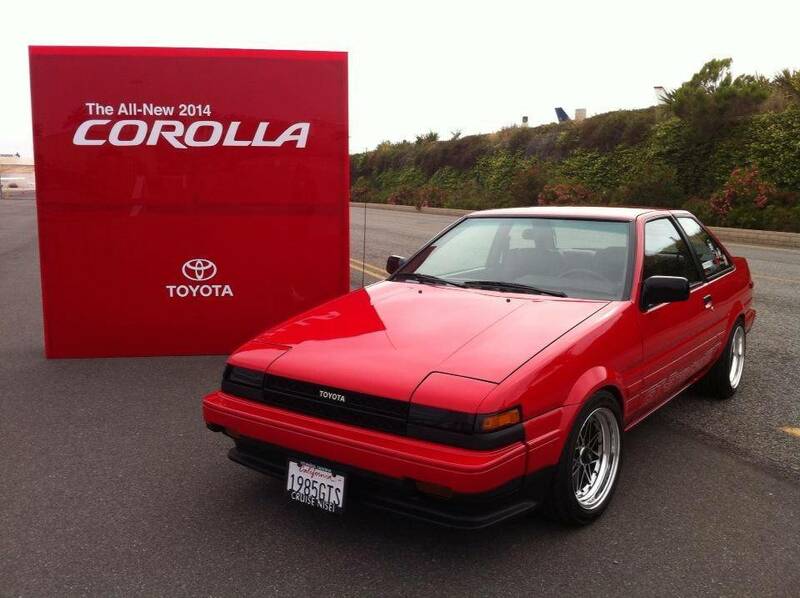 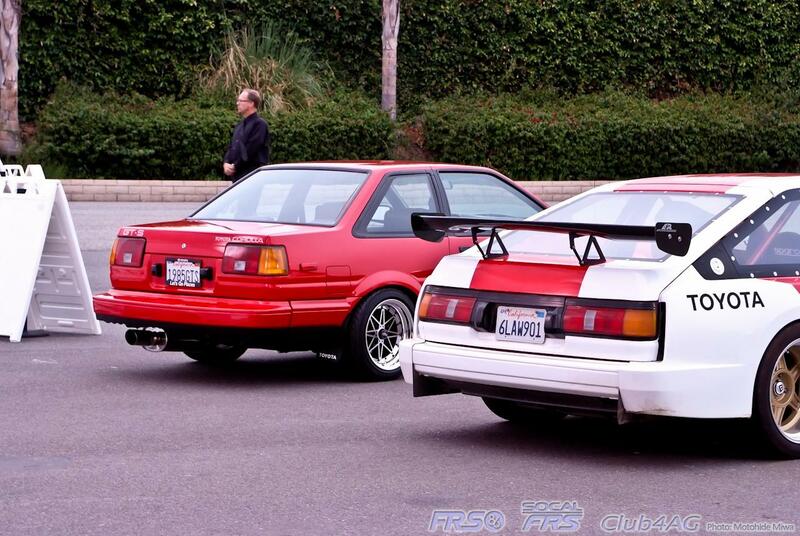 On display throughout the venue were prominent platform displays of select Corolla models from the past such as the notorious AE86 greeting us at the entrance, the classic KE10 dressed in classic off-white, next to the strong bullet proof looks of the TE70 Coupe, and 70's family hauler that was the KE18 Station Wagon.